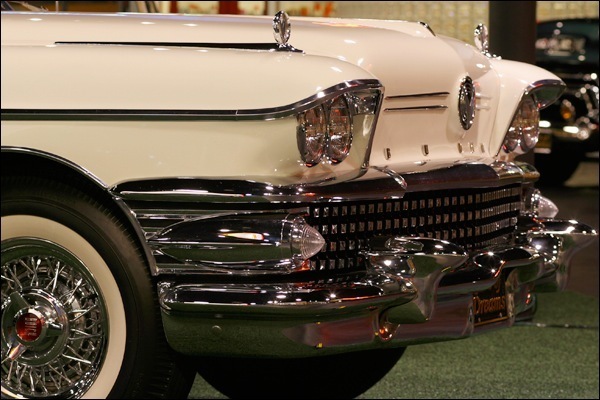 The 1958 Buick Limited series was the ultimate Buick for the model year. 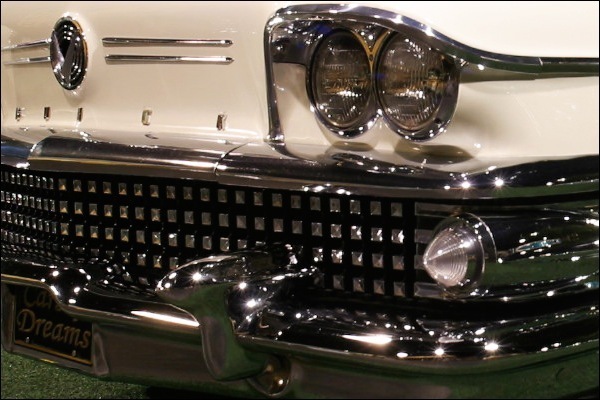 Each Buick Limited received a Fashion-Aire Dynastar grille, cast of 160 chrome squares, each, “shaped in a design to maximize the amount of reflective light”. 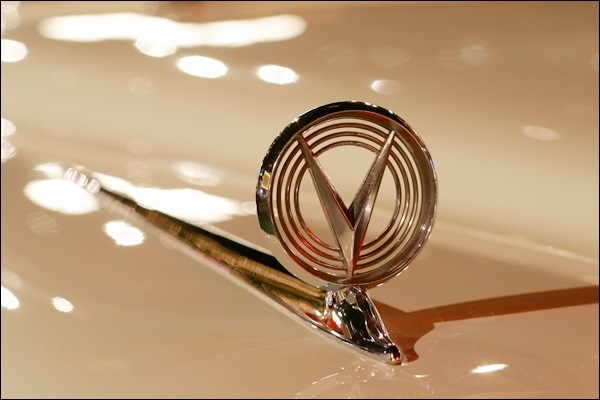 Buick also added quad headlights and three emblems bearing a stylized “V”, one a medallion on the hood and the other two as gun-sight fender-toppers. 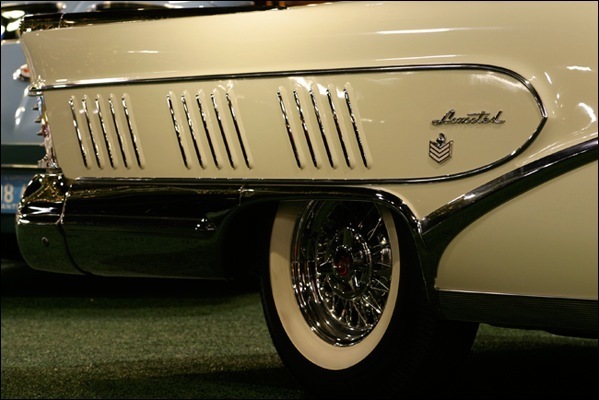 The Buick sweep-spear side trim, a styling hallmark since 1949, was joined by broad chrome panels attached to the rear quarter panels. 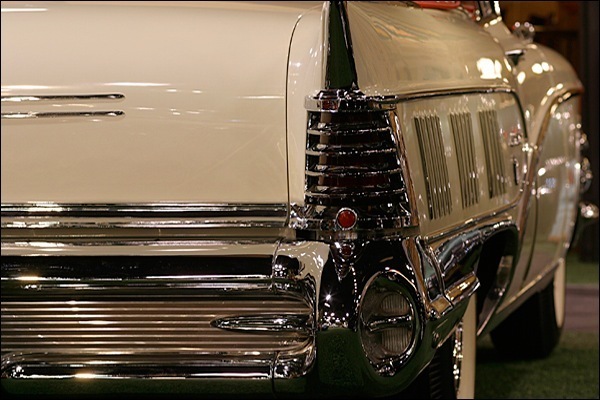 Tail lights were housed in massive chrome housings; each trunk lid received two chrome grips. In comparison to the other models in the Buick lineup, the Limited was slightly more restrained. 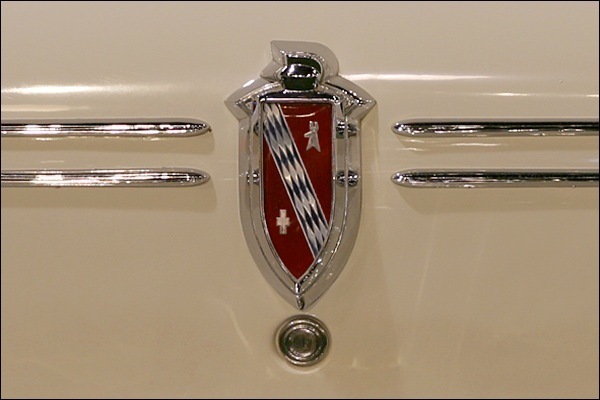 Each Limited traded its chromed side panel trim for a body color-keyed insert decorated with fifteen slanted hash marks (three groups of five). The Limited also received its own rear tail treatment that traded the heavy chrome tail light housings for a wraparound tail light lens broken up by four chrome bands. 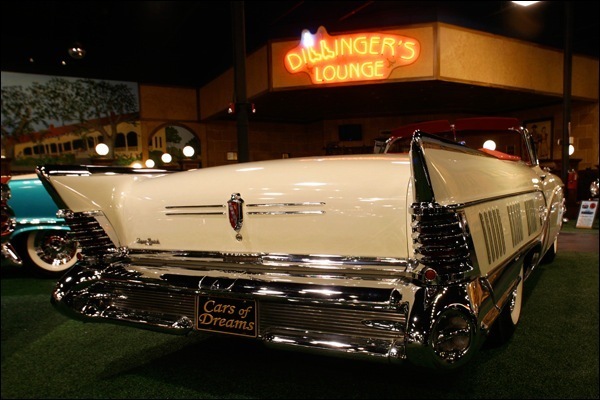 Rear bumper “Dagmars” housed “Dual Jet” back-up lights. 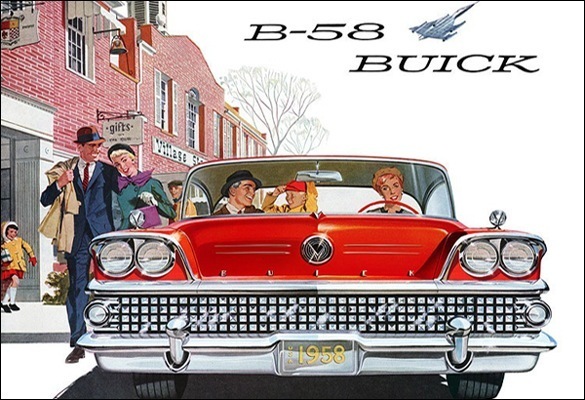 Available only as a four-door hardtop, two-door hardtop coupe or convertible, the Limited rode Buick’s 127″ wheelbase, with its body stretched 227.1″, just shy of nineteen feet in length. 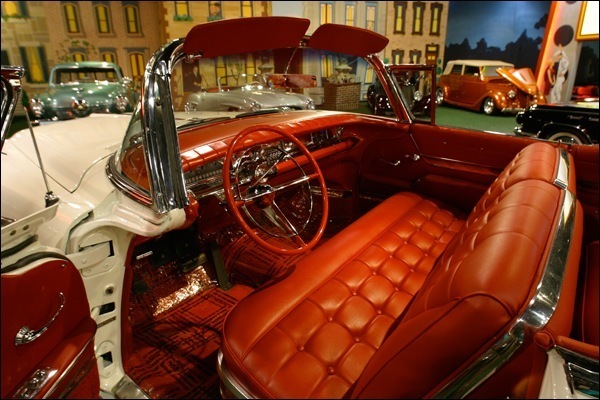 Inside, buyers were treated to high quality fabrics in sedans and coupes, full leather in convertibles. The valve-in-head B12000 engine kicked out 300 horses, with a 364 cubic inch displacement. Air-poise suspension was an extra-cost option that used pressurized air bladders for a smooth hydraulic ride. Power steering and brakes were essential and came as standard. 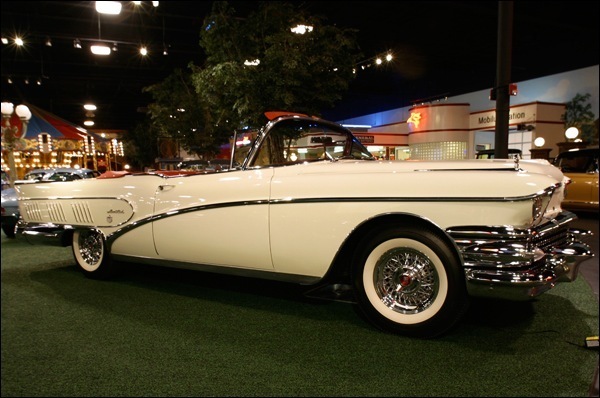 Other standard equipment included an electric clock, cigarette lighters, and electric windows.The Limited’s four-door hardtop sedan started at a base price of $5,112. 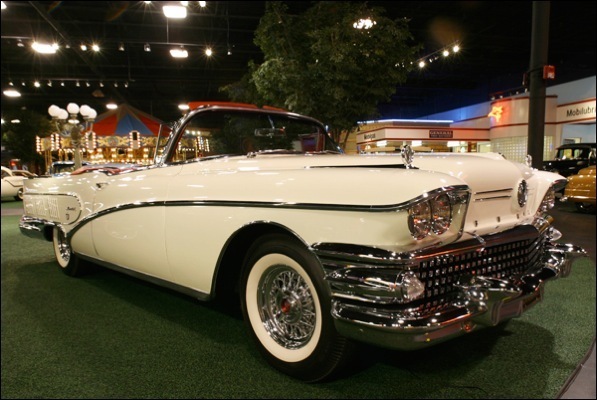 Total production for the Limited in 1958 was a very limited 7,436. units. 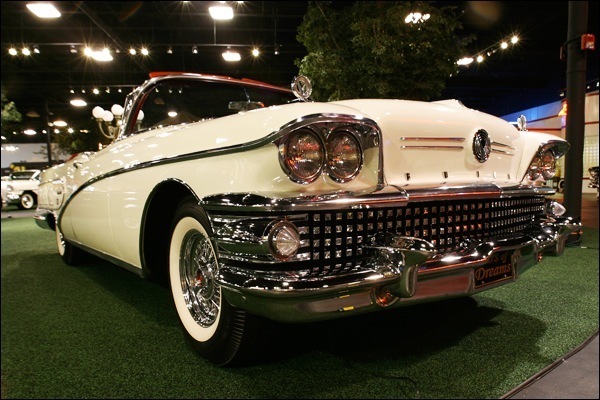 Following the close of the 1958 model year, Buick dropped the Limited name and replaced the car with the Buick Electra 225.